Let’s face it; many Agile teams are disappointed by how much time they spend in rituals. But, it doesn’t have to be that way. In fact, it shouldn’t be that way. A team can take many actions to shrink the amount of time it spends in rituals while simultaneously increasing their effectiveness and fostering better engagement. Those actions tend to fall in one of two categories: participation and preparation. In this first of a two articles series, I am sharing a few examples of participation-related practices that have worked for me. A subsequent article will look more closely at preparation. Note: despite some Scrum references, the tips can be applied to rituals from any Agile method. This article, therefore, assumes a certain level of Agile literacy. It does not describe the basics of the various rituals discussed. Before changing anything, the first step is to ask the participants if they are satisfied with the current state of affairs. If there is no dissatisfaction, there will be no willingness to experiment with solutions. For the purpose of this article, let’s assume that someone has secured buy-in. Tip #2 – One of the surest ways to lose meeting participants is to have them wait on someone taking notes. This frequently happens in Scrum grooming and planning because the PO is trying to facilitate the meeting, describe the user stories, take notes, and update the backlog in real-time. To cure this, delegate tasks to the Scrum Master and any chickens present in the meeting. Tip #3 – Story sizing debates derail many a Scrum planning rituals; is this story 3 points or 5 points? There are endless opinions. What participants frequently forget is that sizing is an exercise in estimation and that all estimates are wrong to some degree. Therefore, only the order of magnitude truly matters. For example, teams using the Fibonacci series don’t have to agonize over whether a story is one size up or one size down. The key is to limit the debate to arguments that are likely to sway the estimate by a lot. Tip #4 – In every group meeting some conversations devolve into back and forth between two or three participants while everyone else waits. To snuff this, devise a mechanism where the crowd signals its desire for the conversation to stop. 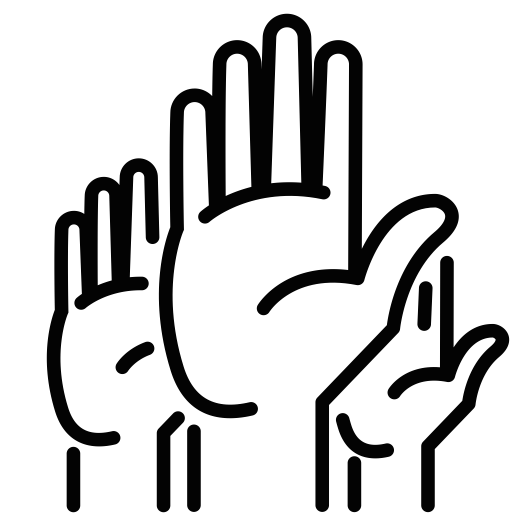 For example, people can raise a hand, and when two or more hands are up, the debate has to pause while a check for relevancy is performed. In short, don’t let the audience be victimized; empower it to self-regulate. As a leader, bad meetings are just too expensive; there is the immediate cost of wasted time and the longer cost of reduced employee engagement. Moreover, group meetings are a golden opportunity to influence the organization’s culture. Servant leaders have a responsibility to work toward ameliorating the environment (see the article on the role of the manager). Some of the tips above may be useful in that pursuit. What other tips do you have? "Citizenship", by Alberto Miranda, The Noun Project, Web. 30 Mar. 2016. Modified.